Since the early 1980s, the GWA Media Awards program has recognized outstanding writing, photography, graphic design and illustration for books, newspaper stories, magazine articles and other works focused on gardening. In recent years, the awards program has expanded to include on-air talent, production and direction for radio, television, video, Internet and other electronic media. 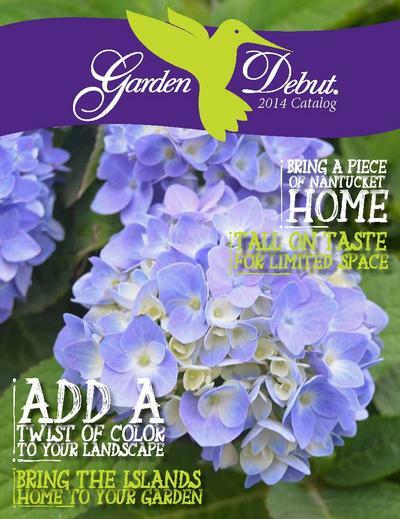 This award qualifies Garden Debut® for the GWA Garden Media Gold Awards for Best Talent and Best Product. Gold Award winners will be announced at the Annual Banquet in Pittsburg, PA on August 11th. Only Silver Award recipients are eligible to receive the Gold Award. To view all the 2014 GWA Media Award recipients, log on to www.gardenwriters.org. For more information about this award, contact Briana Jones at (918) 457-2389.